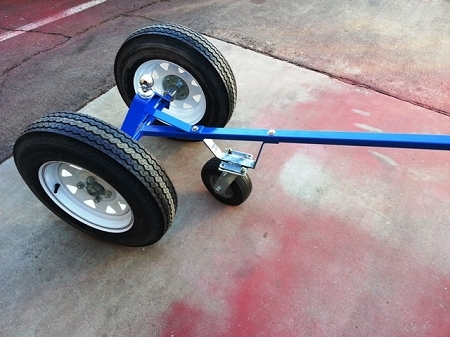 Brand new for 2014 is our heavy duty trailer dolly designed for boats and RV Trailers. 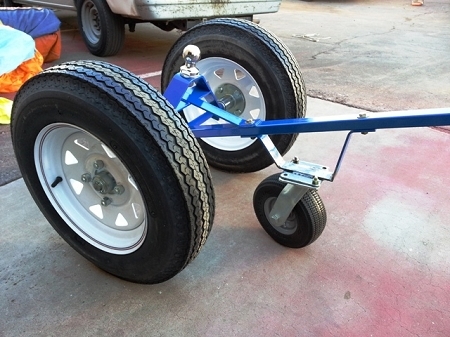 This super strong trailer dolly has a thick heavy duty powder coated frame, heavy duty wheels, tires and bearings and a 3rd caster wheel making it very easy to operate. The 21" tall tires make trailer moving a breeze. 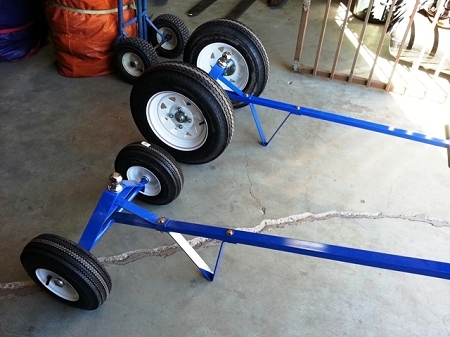 Check out the Video of this heavy duty trailer dolly for boats and RV's. Q: What is the tongue weight capacity of your heavy duty dolly?